ANAHEIM, Calif. (March 31, 2015) To save lives and educate all Californians, especially young drivers, about the dangers of distracted driving, the California Office of Traffic Safety (OTS), California Highway Patrol (CHP), Impact Teen Drivers, and more than 200 law enforcement agencies statewide are working together on increased education and enforcement efforts for National Distracted Driving Awareness Month in April, and California Teen Safe Driving Week, the first week of April. SANTA ANA – The Board of Parole Hearings (Board), California Department of Corrections and Rehabilitations rescinded the parole of a man today who shot and murdered a 17-year-old high school student on prom night while she was sleeping in her hotel room. Paul Crowder, 42, is currently being held at Deuel Vocational Institution in Tracy. Crowder was sentenced Nov. 1, 1991, to 15 years to life in state prison and an additional four years for the personal use of a firearm. A rescission hearing was held today where the Board heard evidence from two correctional officers who witnessed Crowder’s serious prison violations from 2014. Based on the evidence that was presented at today’s hearing, the Board determined that the violations were proven and gave them good cause to rescind the inmate’s 2010 grant parole. Crowder will be scheduled for a parole hearing in the next four months at the prison before the Board. Senior Deputy District Attorney Paul Chrisopoulos attended today’s rescission hearing to oppose Crowder’s parole. 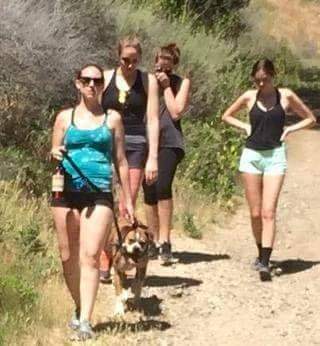 (Orange, CA) OC Animal Care is investigating a dog involved in an attack on two horses in O’Neill Regional Park on March 27, 2015. The horses were being ridden on Live Oak Trail at approximately 12:45 pm. The equestrians reported that both horses sustained multiple bites by the dog, which reportedly was being walked off-leash by its owner at the time of the attack. Batting Clean Up For Team Planet! We are excited to announce the 3rd Annual Eco Challenge Poster Contest. Enter the County of Orange poster contest for the chance to be an Honorary Bat Kid at an Angels baseball game this year by creating a poster that clearly demonstrates how you personally ‘Take the Eco Challenge’. On Tuesday the Board of Supervisors formally directed County Real Estate staff to explore the feasibility of acquiring a building on North Kraemer Place for the purpose of establishing the county’s first permanent multi-service center and emergency shelter. 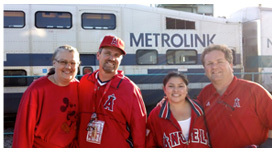 The Anaheim Police Department Traffic Unit will be conducting a DUI/Driver’s License Checkpoint on March 28, at Cerritos Avenue and Euclid Street between the hours of 8:00 p.m. and 3:00 a.m.
ORANGE – Baseball fans will again be able to hop aboard the Angels Express to quickly get to and from Angels games this season, beginning with the first pre-season home games against the Los Angeles Dodgers on Thursday and Friday, April 2 and 3. This Saturday, March 28, Mother’s Market’s Anaheim Hills store will host a free in-store Bodycare event “Get Ready for Spring” for the community from 12 noon to 3 p.m. at 5759 E Santa Ana Canyon Rd.